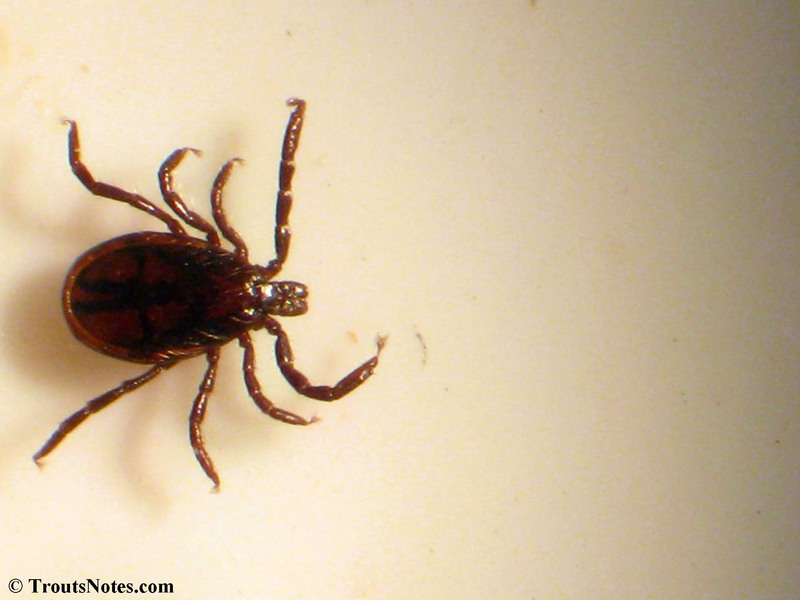 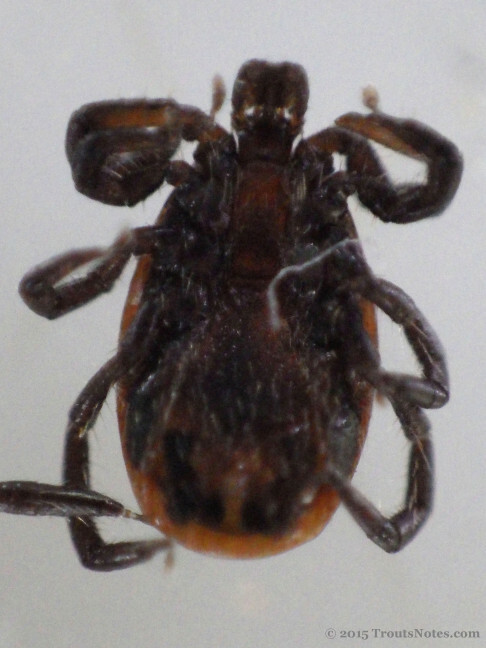 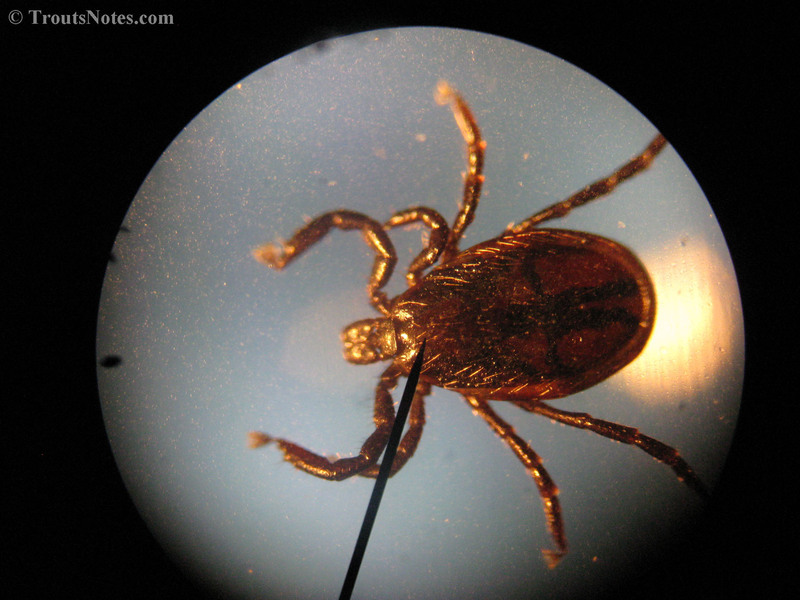 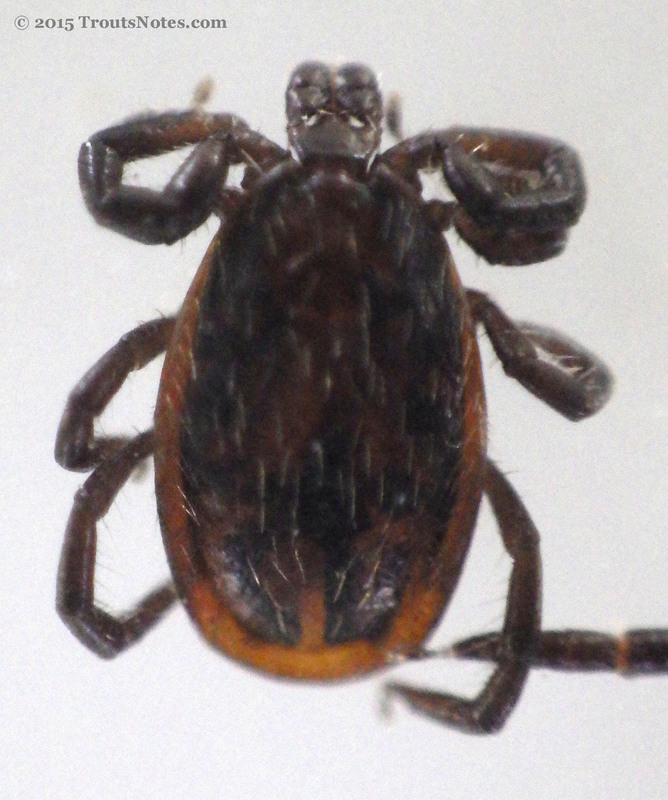 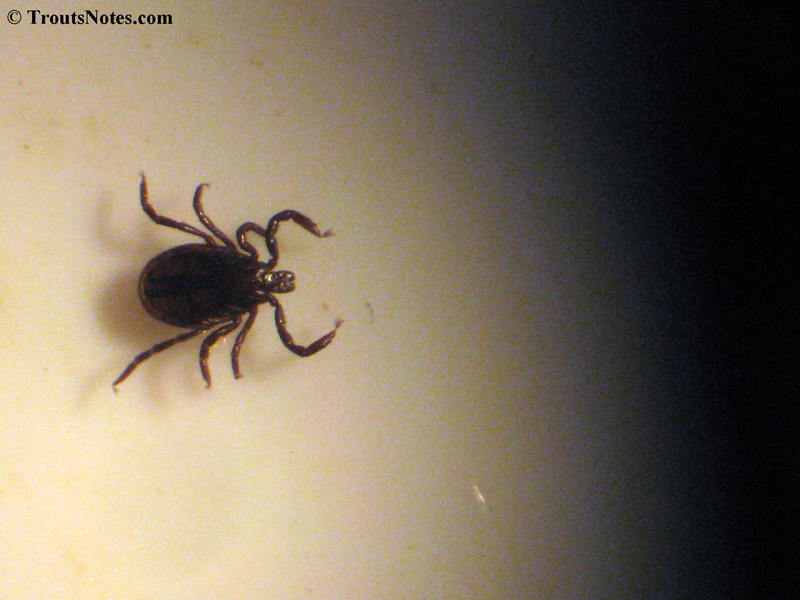 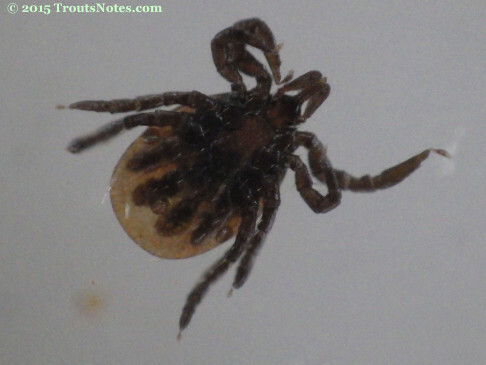 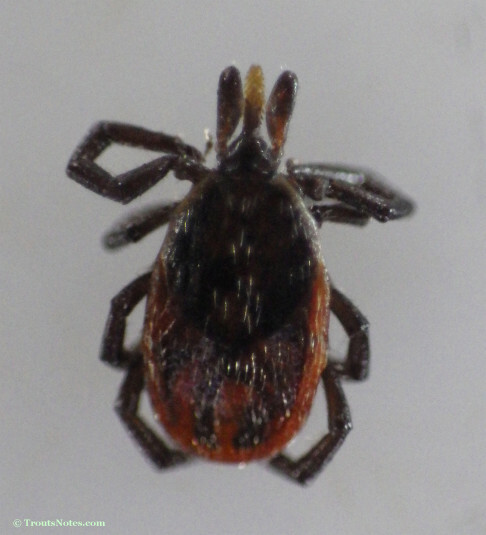 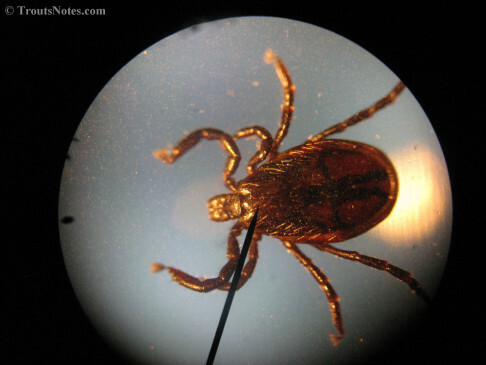 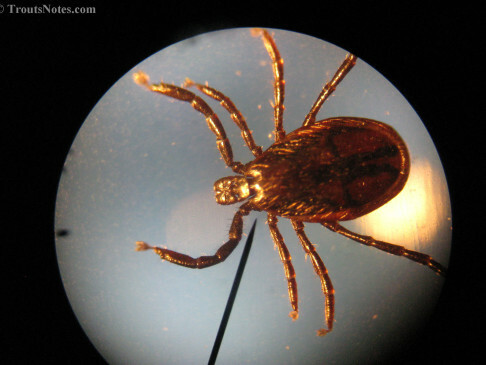 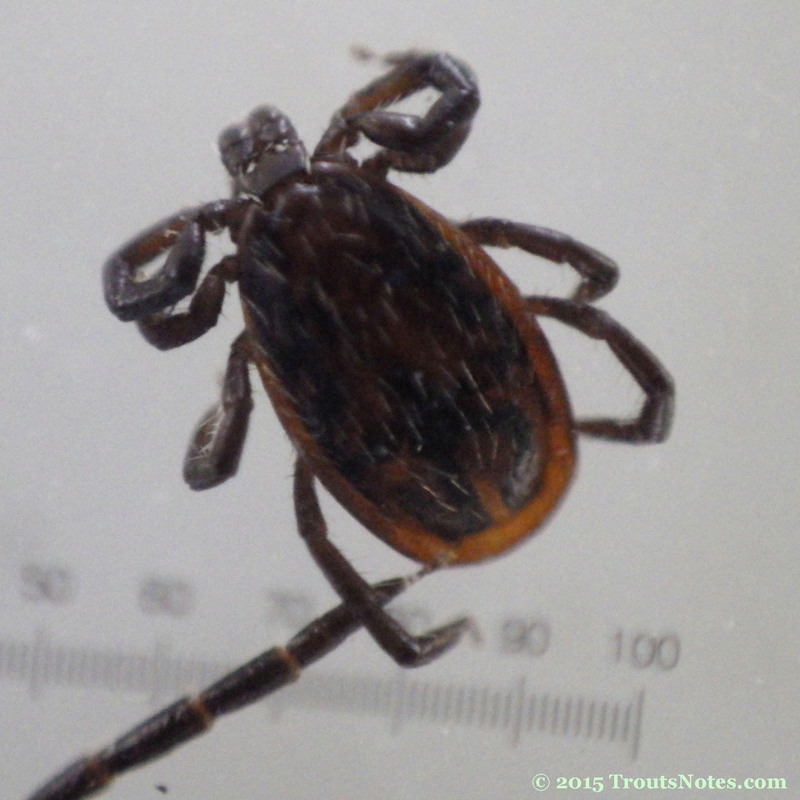 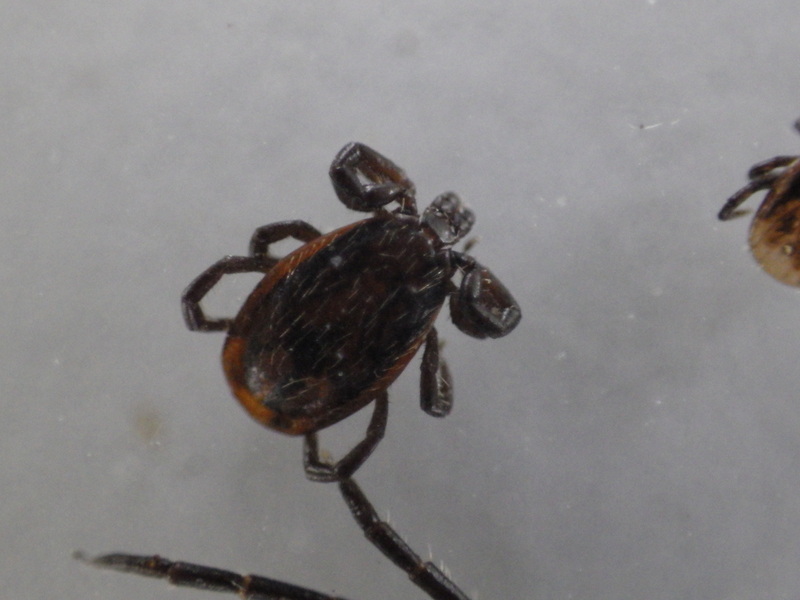 Ixodes pacificus is also known as the black-legged tick. 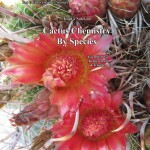 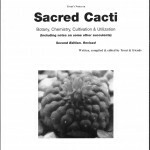 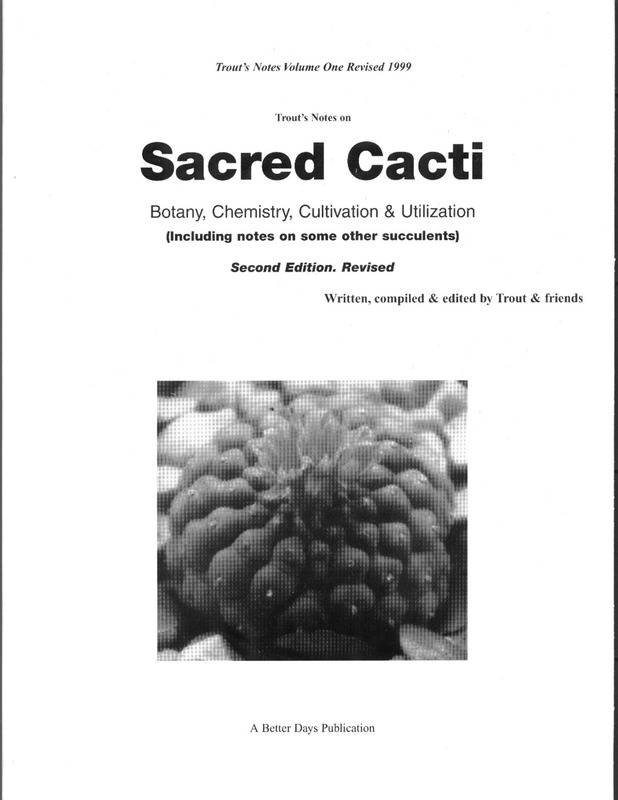 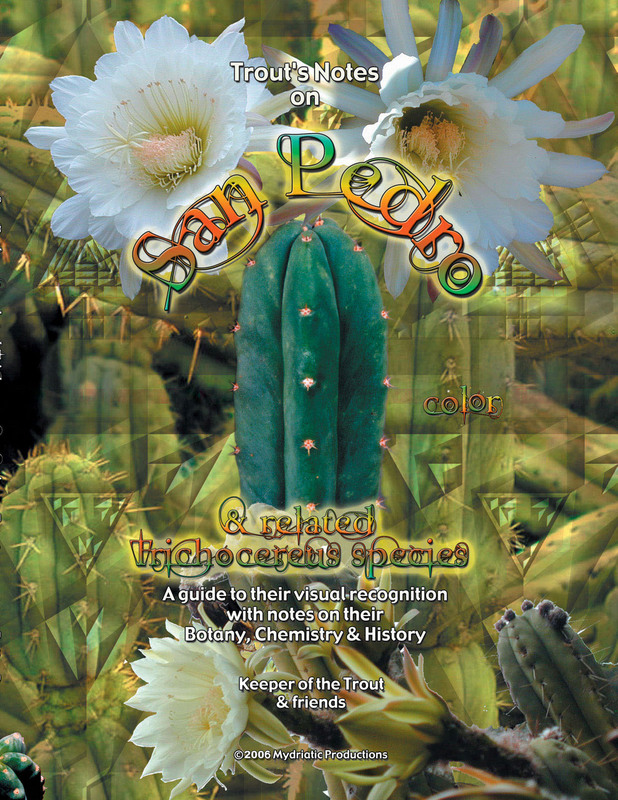 It is the most commonly encountered one here at home (in Mendocino County, California). 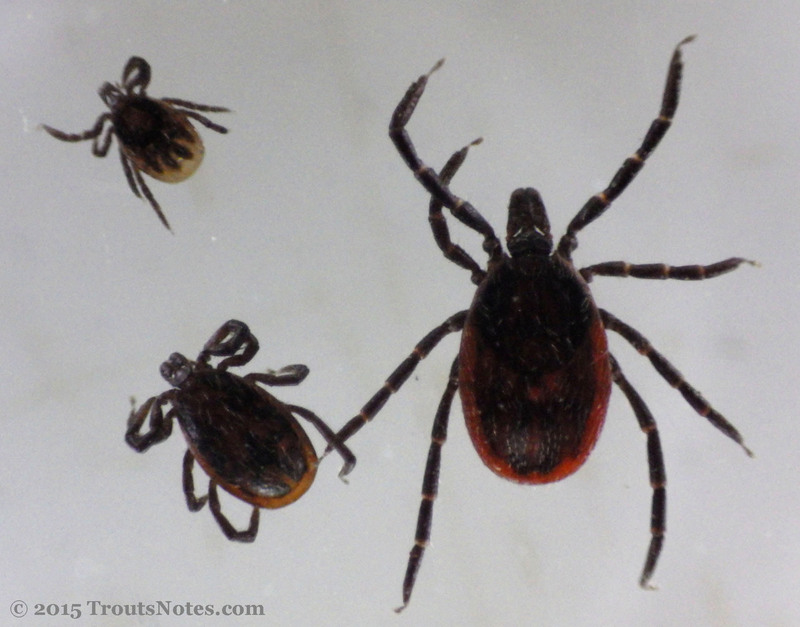 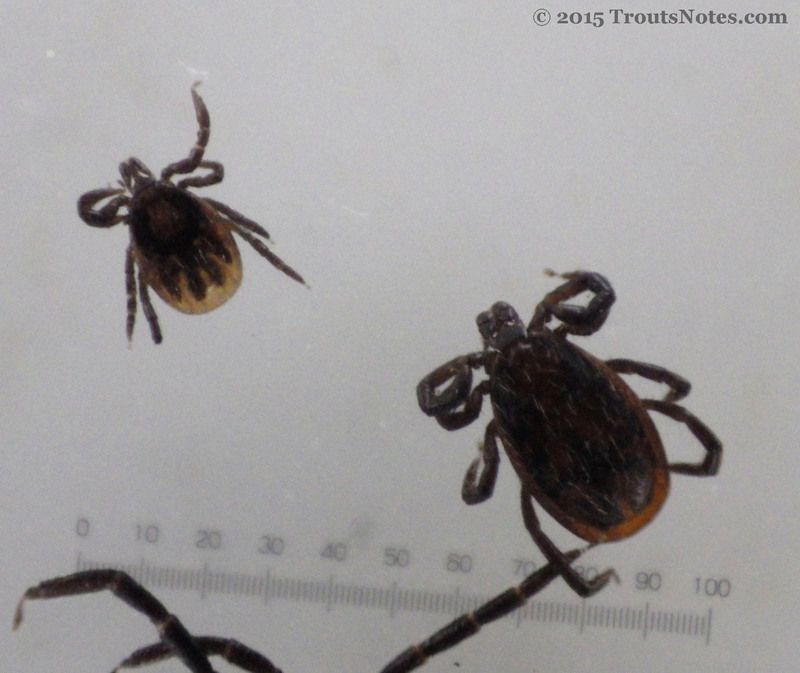 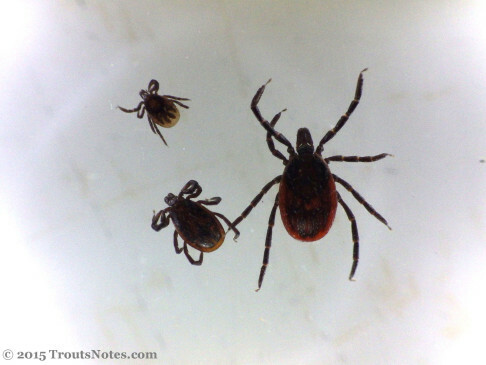 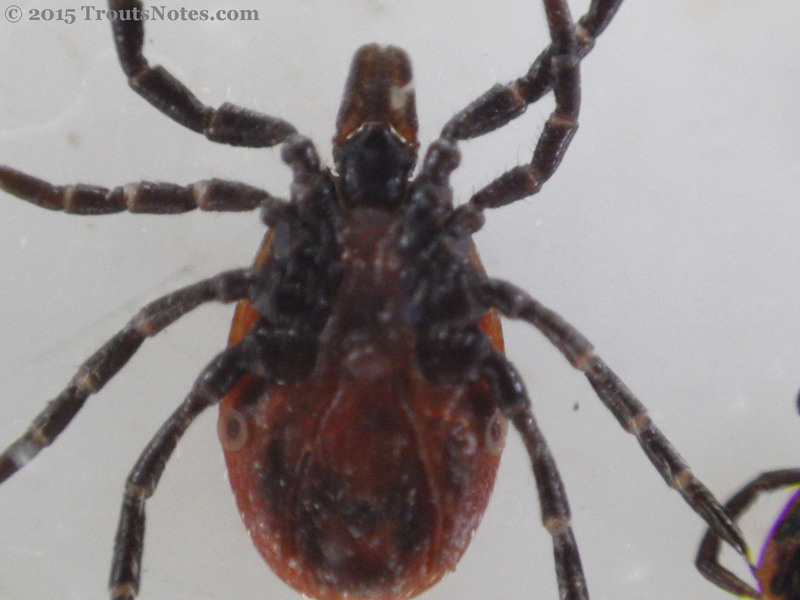 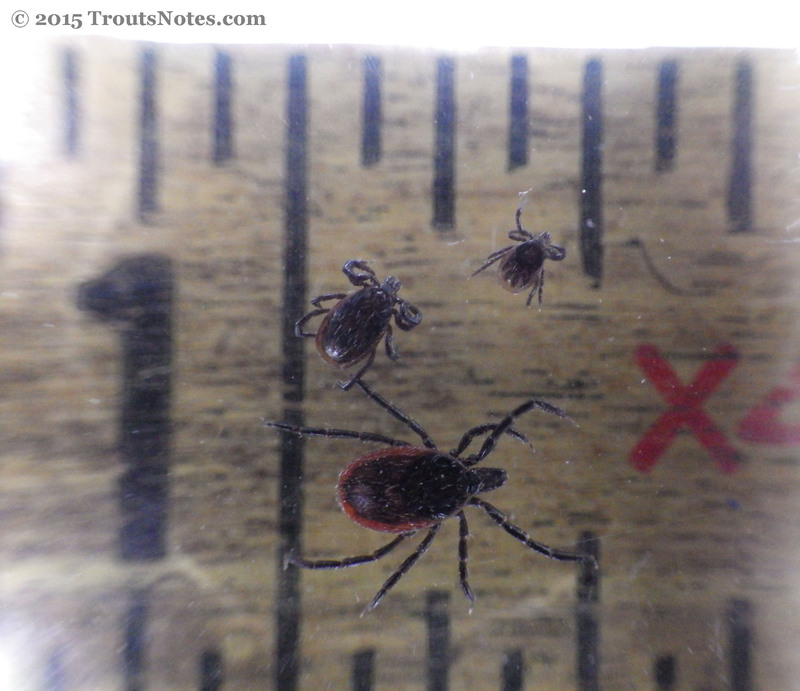 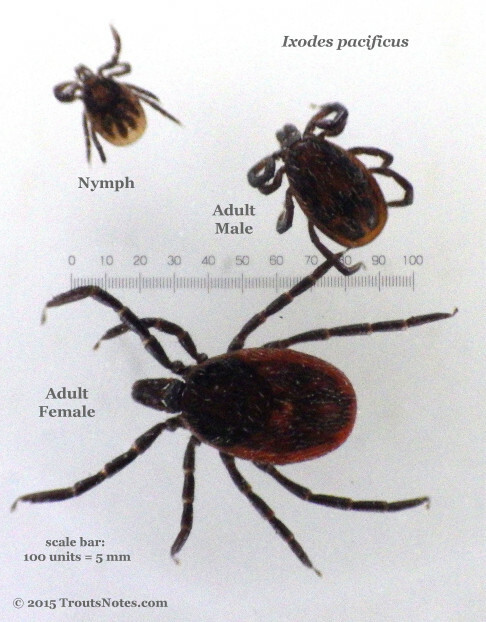 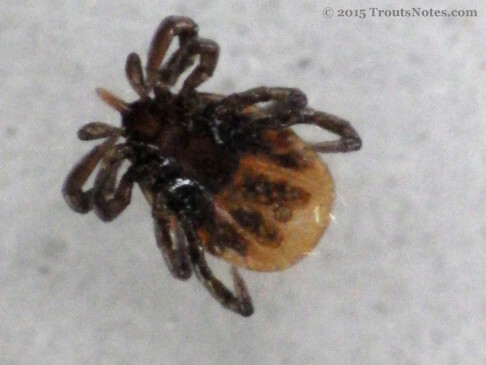 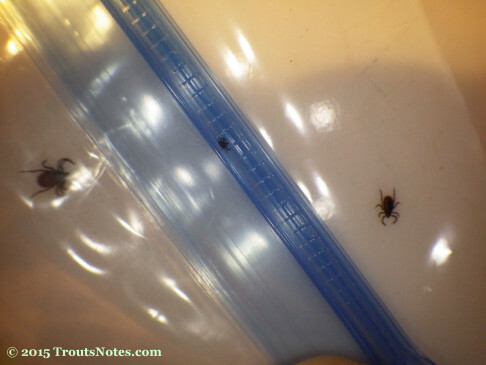 Ixodes pacificus trio; notice the nyph has crawled halfway through the ziplock. 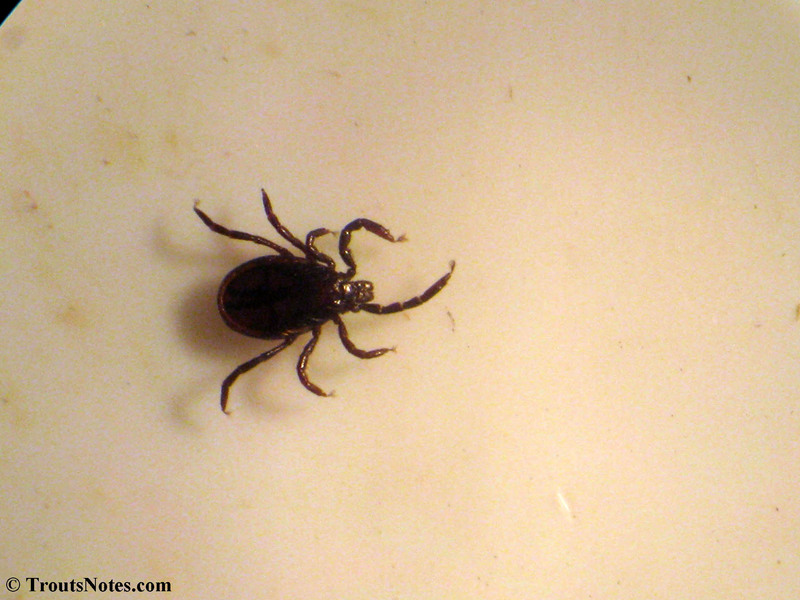 One escaped. 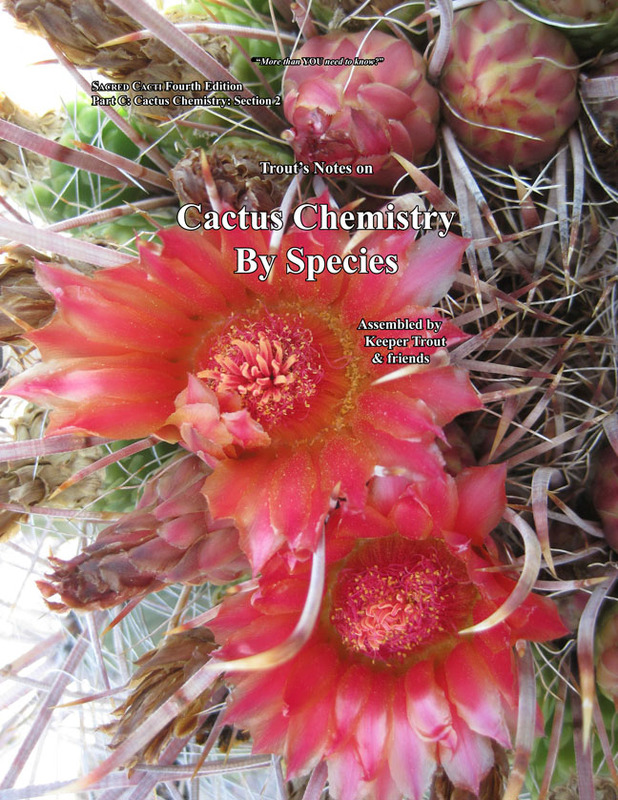 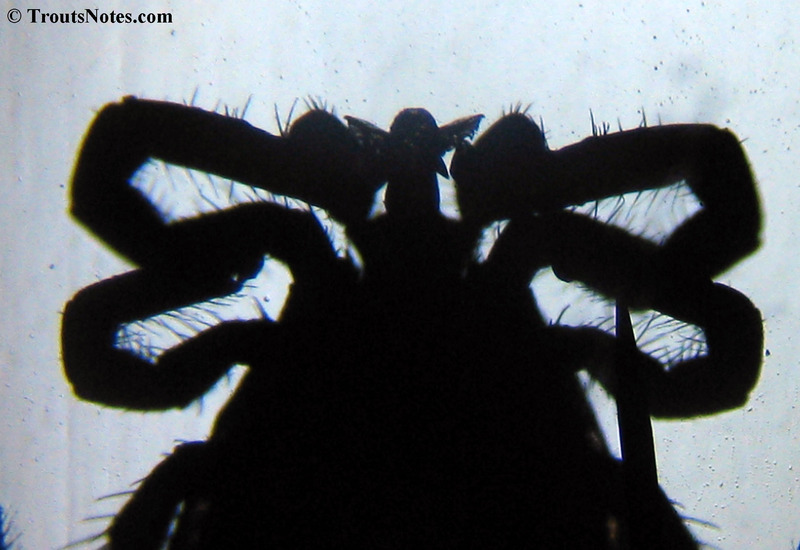 Check out those paired claws and the cool flexible adhesive pads on their feet! 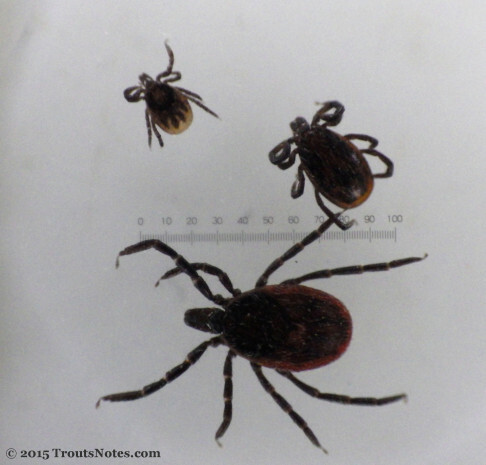 They sure can move fast. 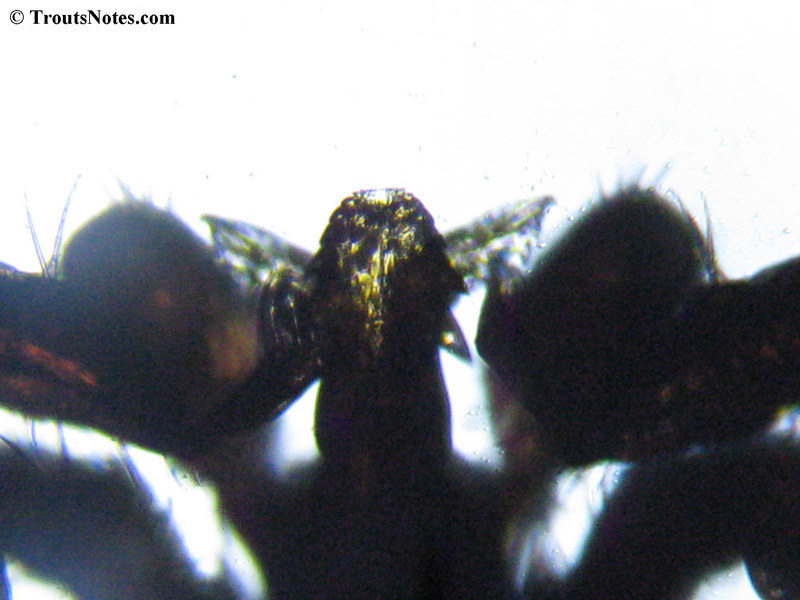 The next images are after it died (using transmitted light for illumination). Those sharp, and weirdly beautiful, blades are on the end of organs called “digits”. 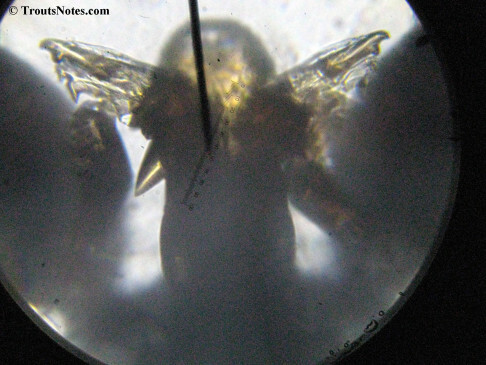 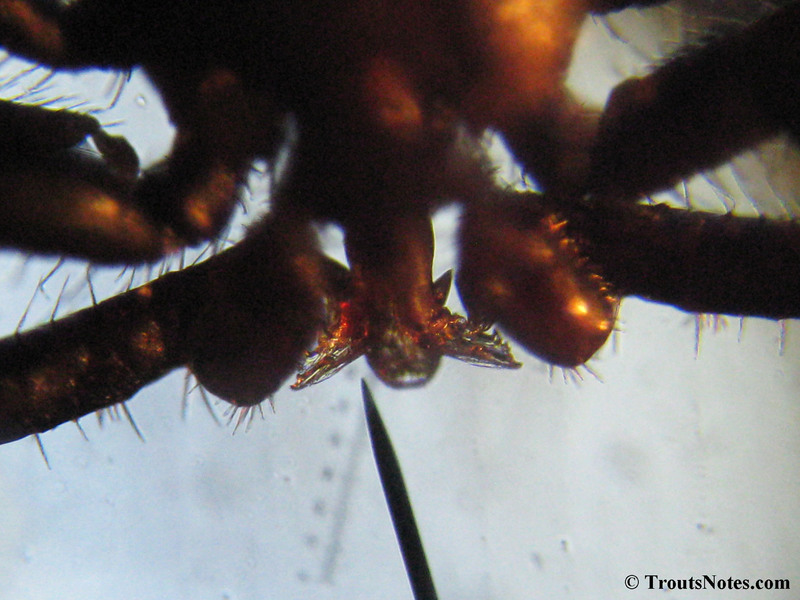 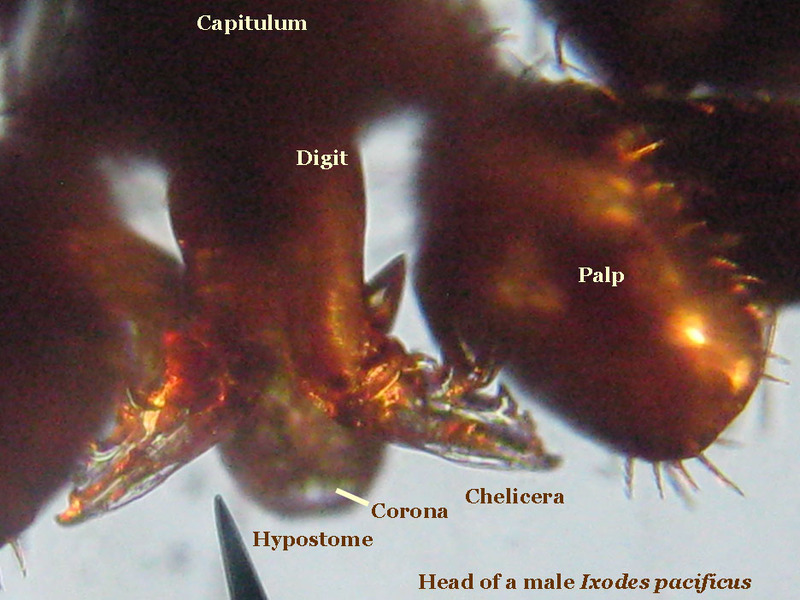 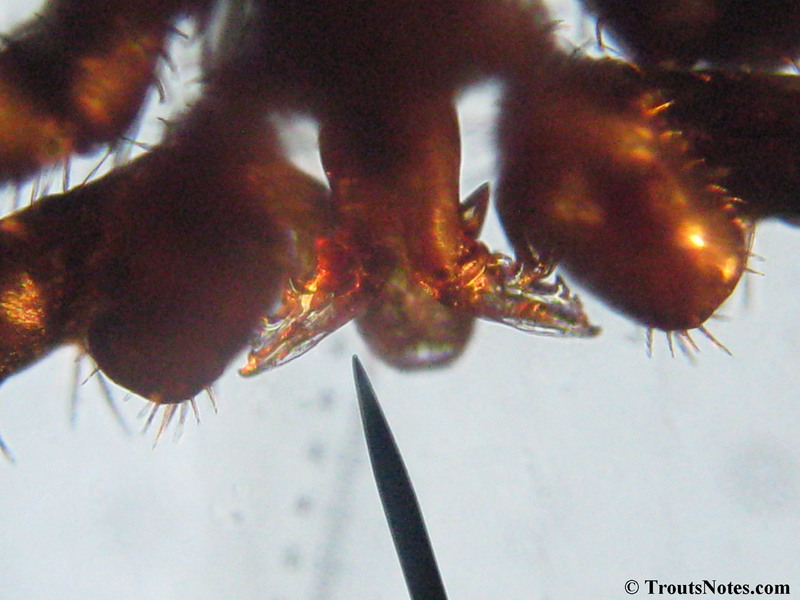 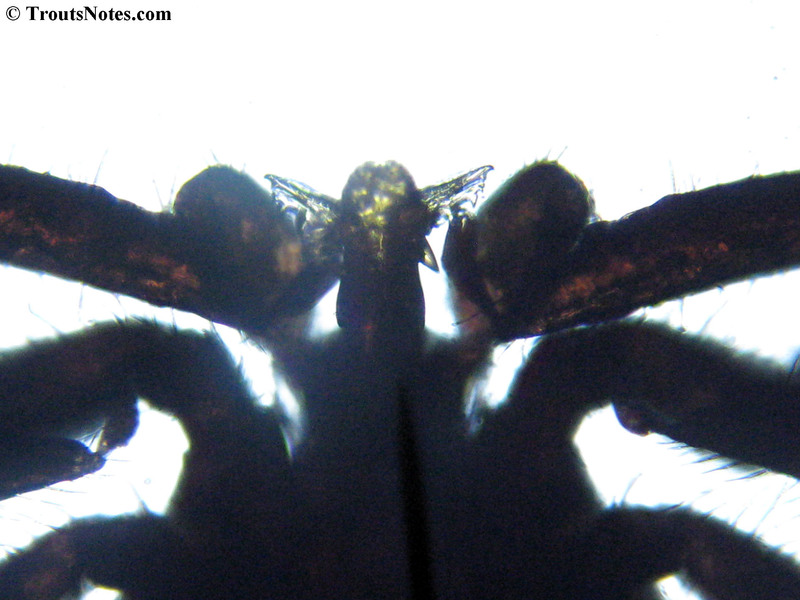 They are akin to the fang parts of a spider, and similarly are referred to as the chelicerae. Whereas those of a spider bear a piercing & injection tip, the tick uses these for carving away bits of flesh and excavating a pit in the animal that they bite with those crazy-looking cutting implements. 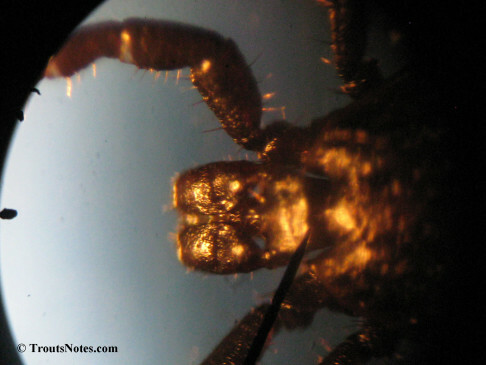 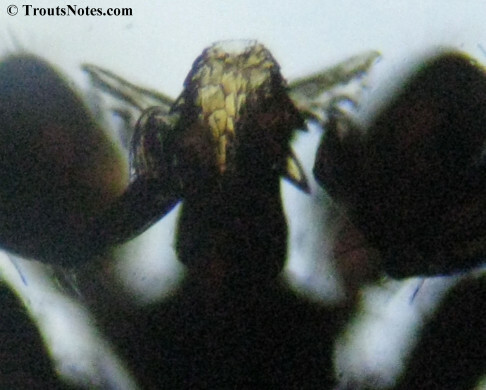 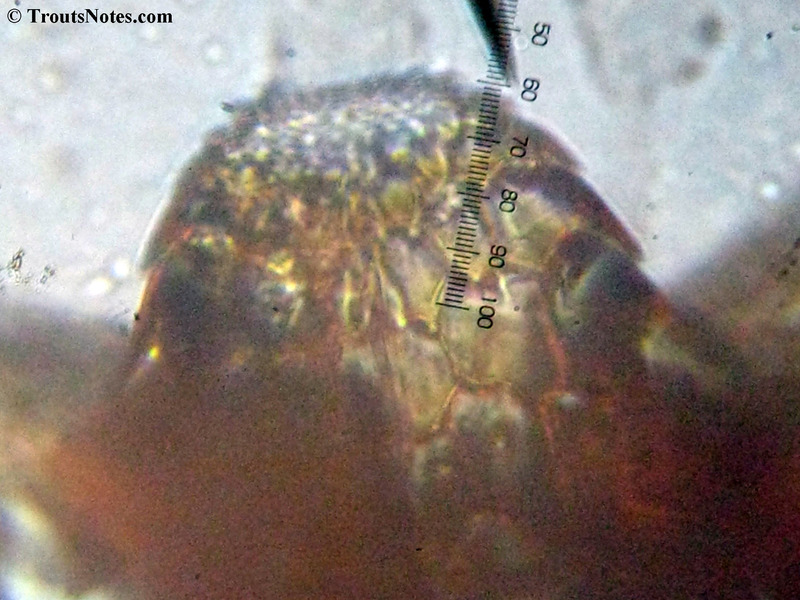 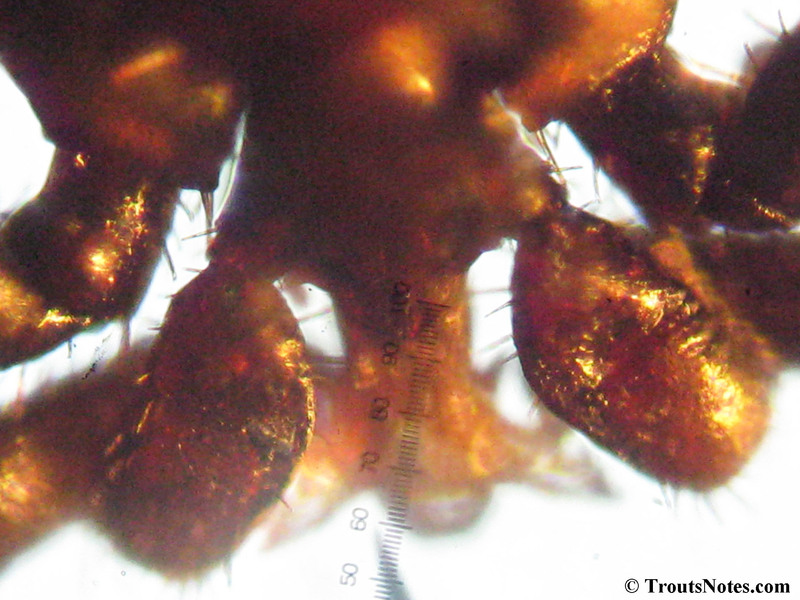 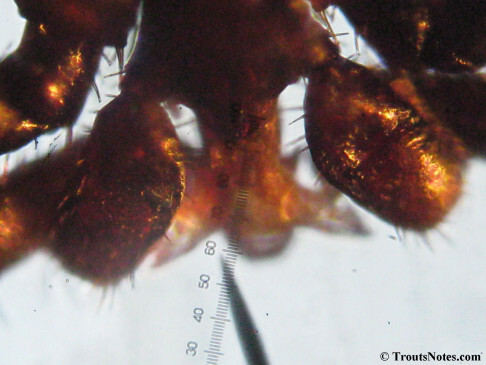 Those rounded palps are used to help with the excavation process. 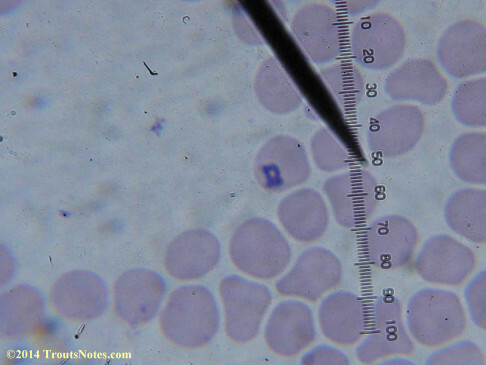 That tube in the center is called the hypostome and it is used to feed on the blood produced by the injury it creates. 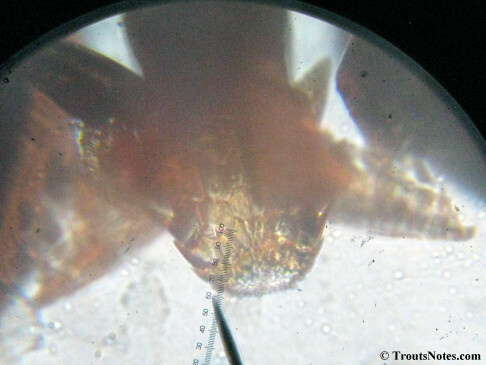 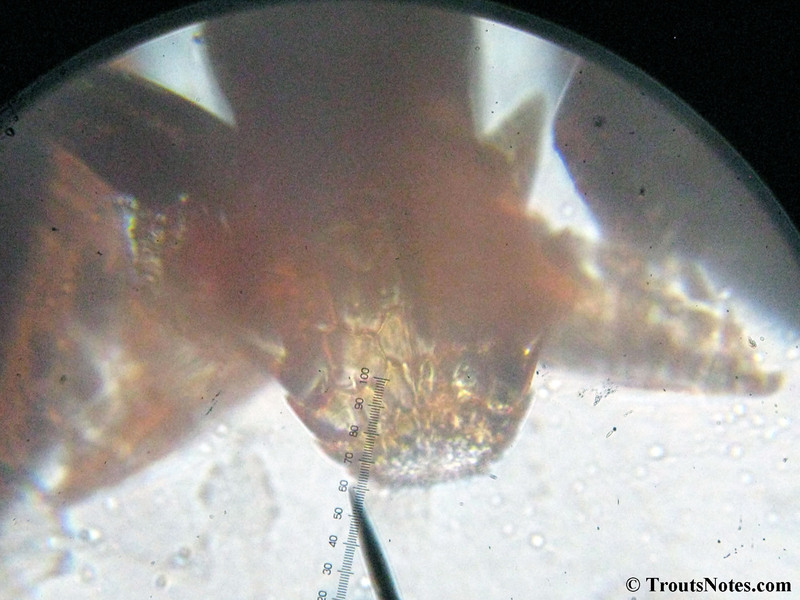 Notice how the tube of the hypostome is barbed to help the tick maintain a hold while it is feeding. 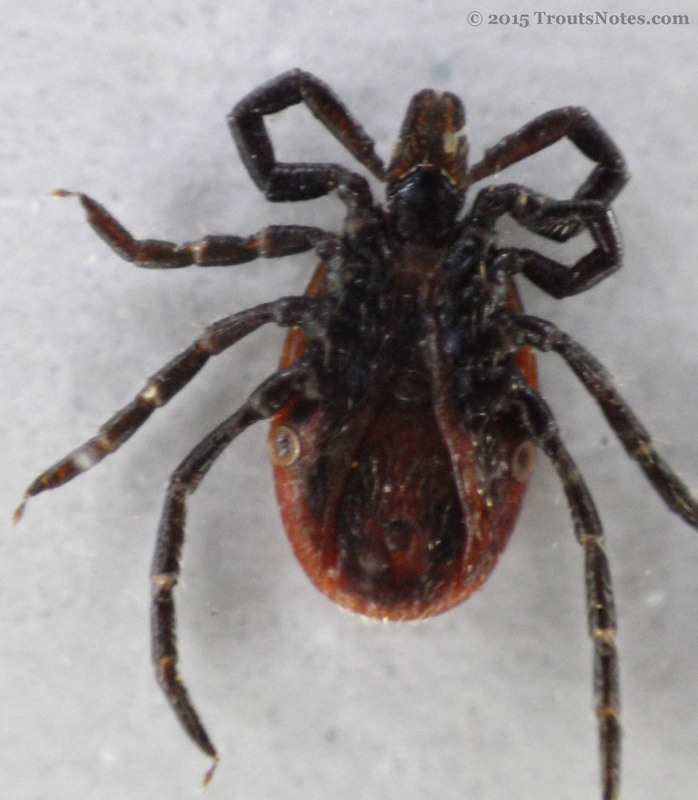 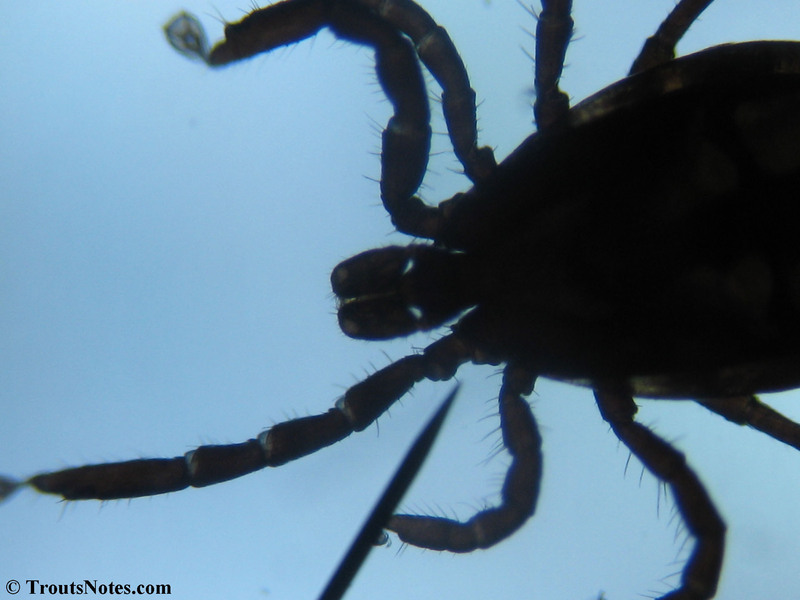 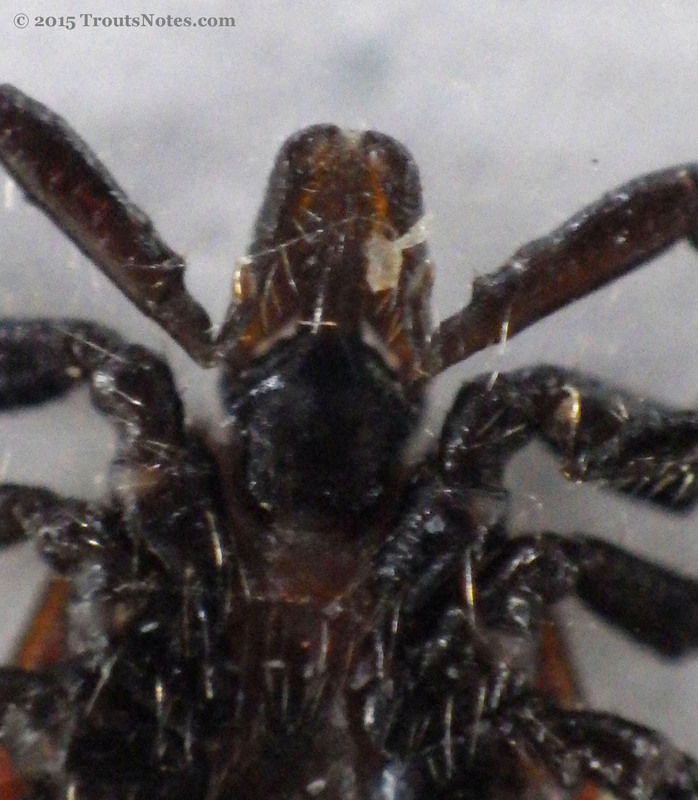 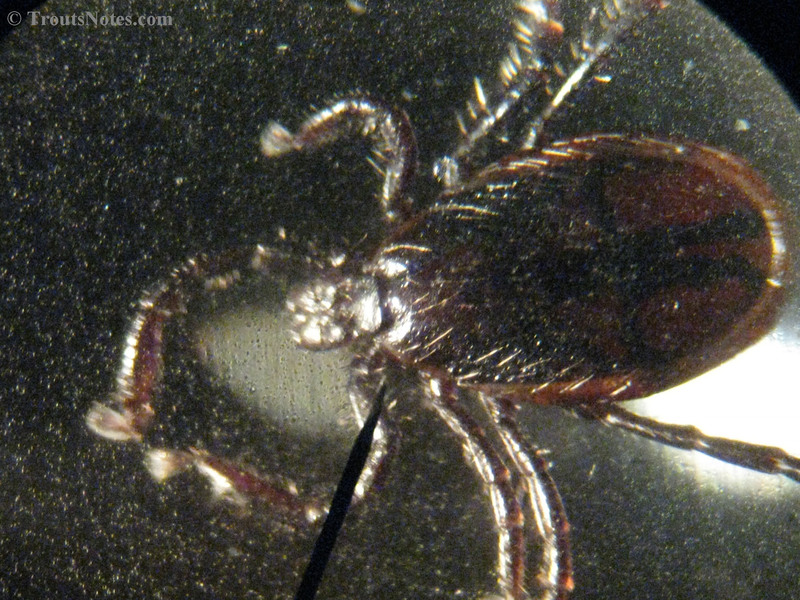 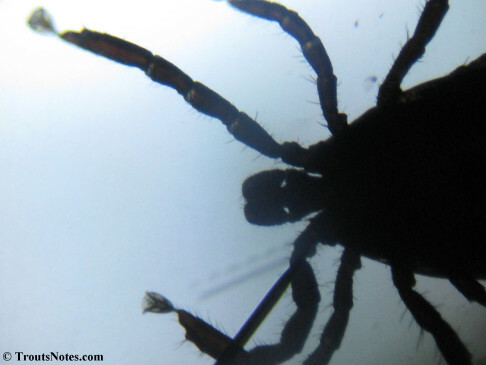 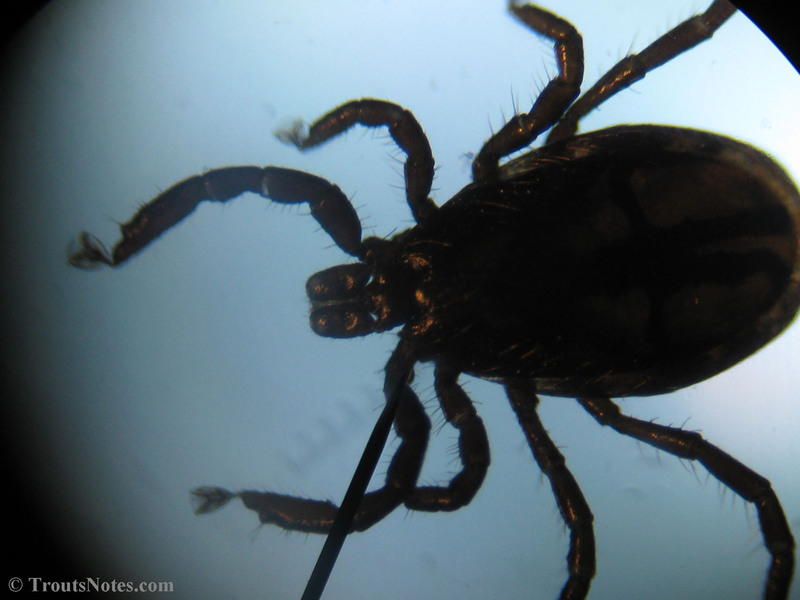 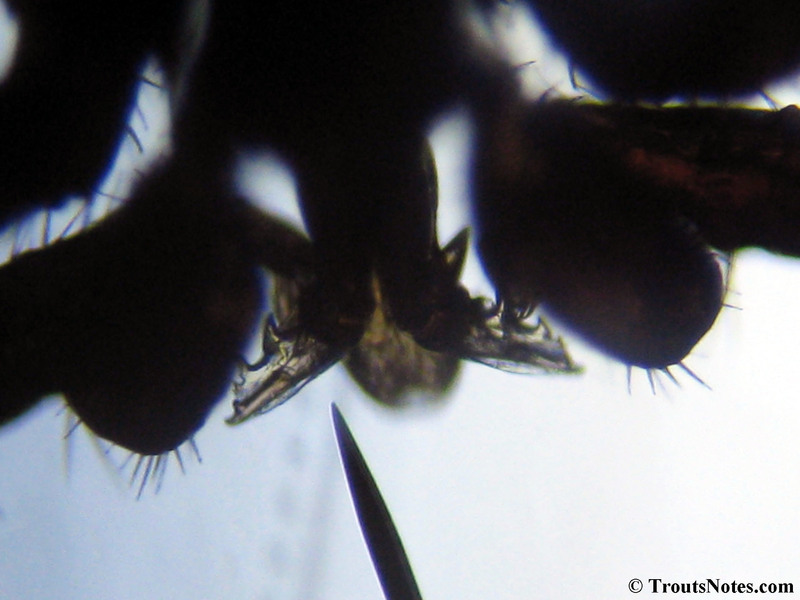 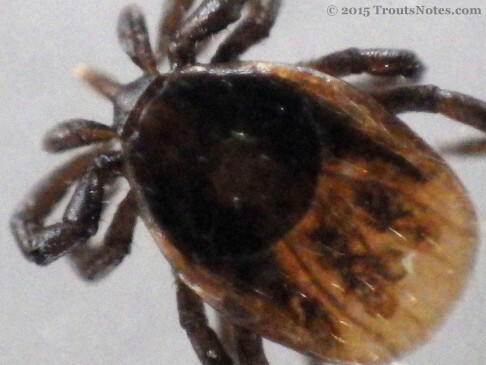 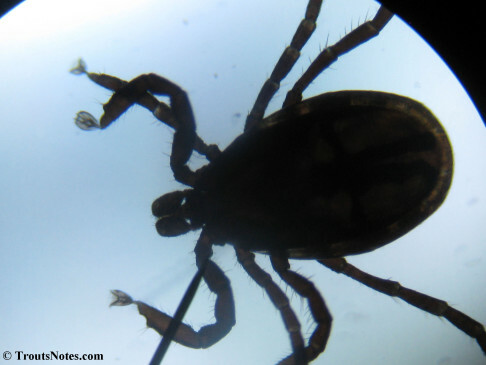 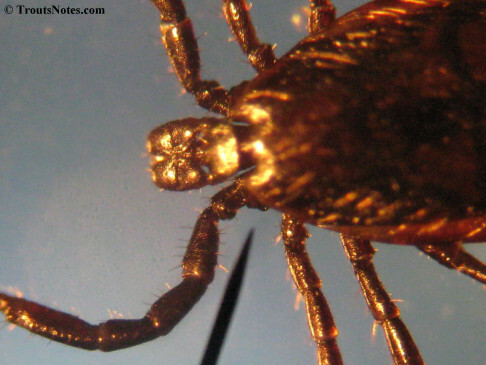 An adhesive secreted by the tick also helps it to get a secure purchase. 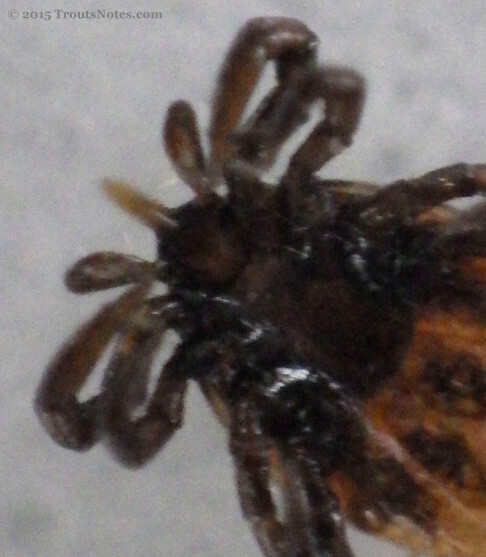 This barbed tube is the part of the head that tends to break off inside of the flesh during the act of removal. 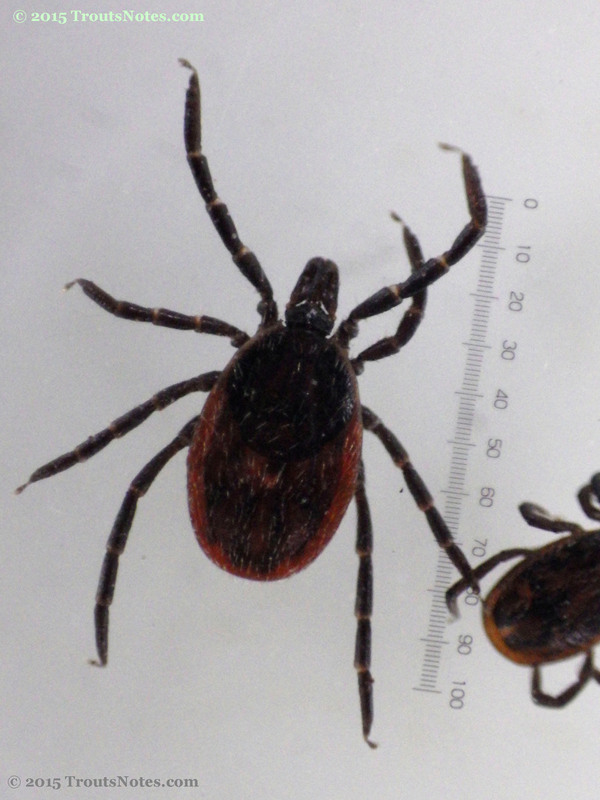 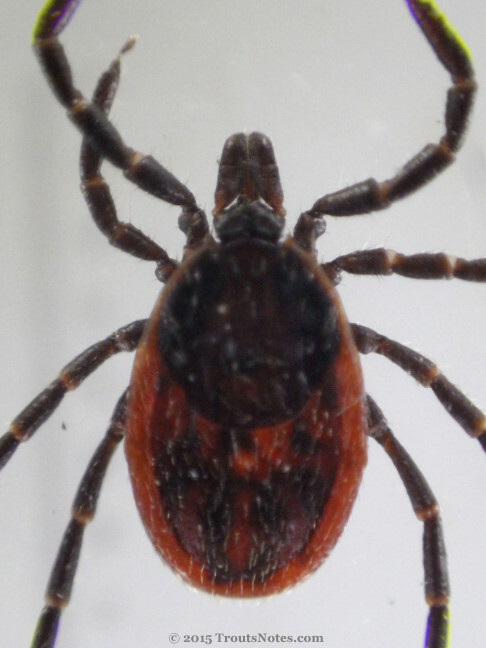 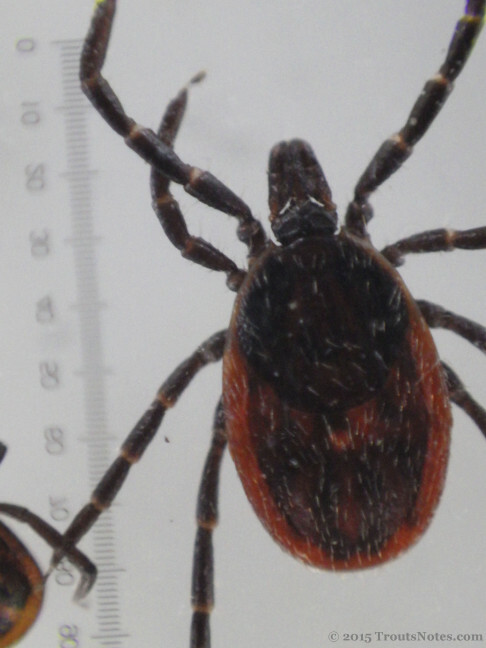 Ixodes pacificus can transmit a variety of illnesses but the two big problem sorts that live here are the spirochetes known as Borrelia, which includes lyme disease (Borrelia burgdorferi), and a piroplasm called Babesia. Babesia duncani is endemic here but the potential human health impact of other Babesia species is only beginning to be appreciated. 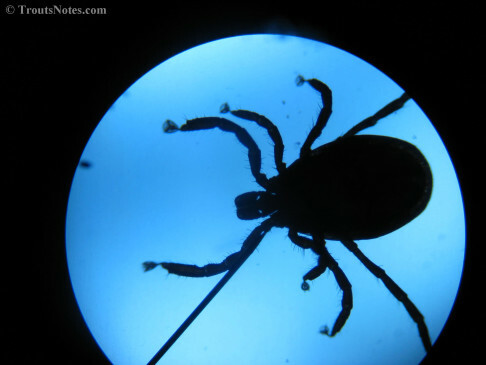 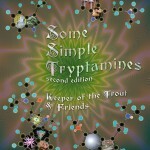 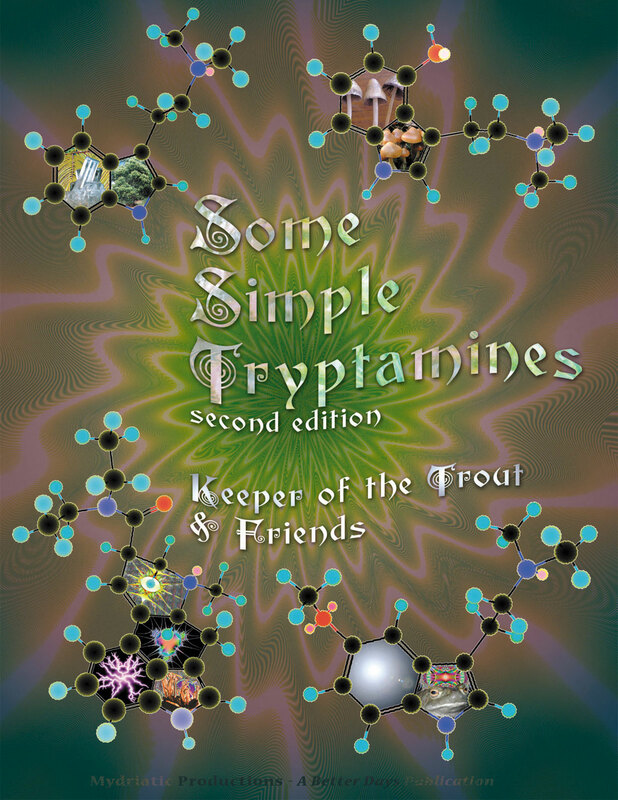 Bartonella, Ehrlichia and others can also join the fun. Babesia can be seen dividing inside of a human red blood cell below (1000x using Wright’s stain to visualize). This is probably B. duncani but it did not test positive in any of the Igenex tests that were performed. 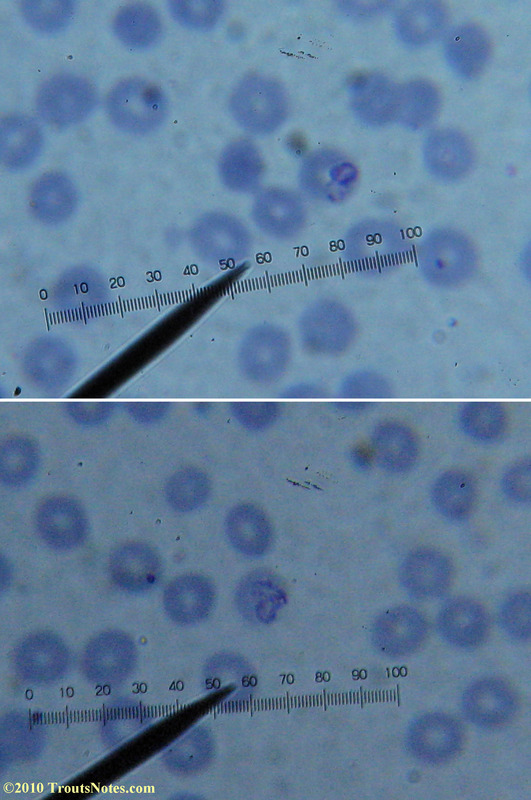 I did the blood smear below for myself AFTER being diagnosed with Babesia duncani based entirely on symptomology. 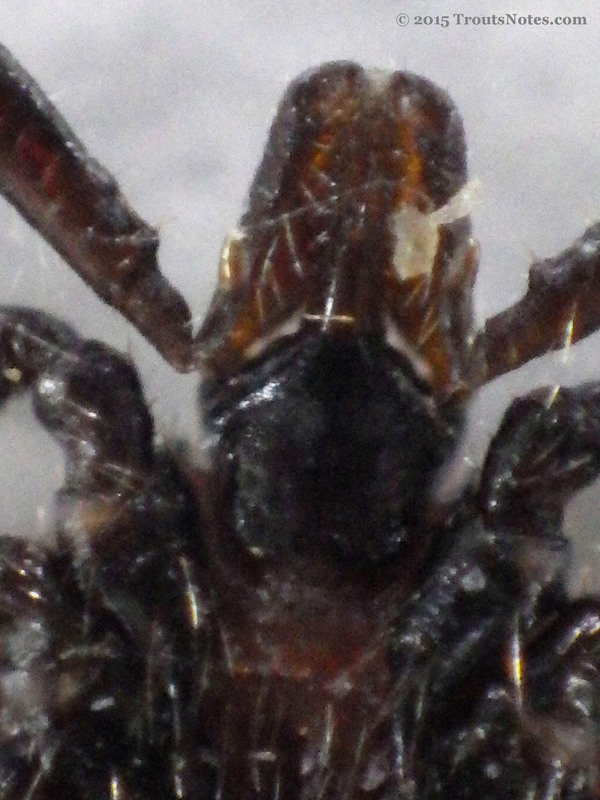 More images; if you really want to see more.